Welcome to the Cal State Fullerton Catalog Website. 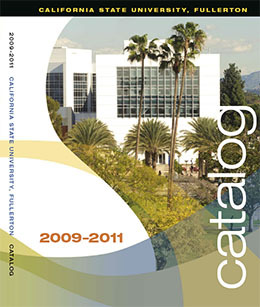 The text on this site represents the information as printed in the 2009-2011 catalog. Program and personnel information are current as of the print date of May 2009. Updates to department course information, however, is published to the web as it made available.